If launching a school run revolution wasn't enough, we've taken things to the next level with the Maxi Micro Deluxe. 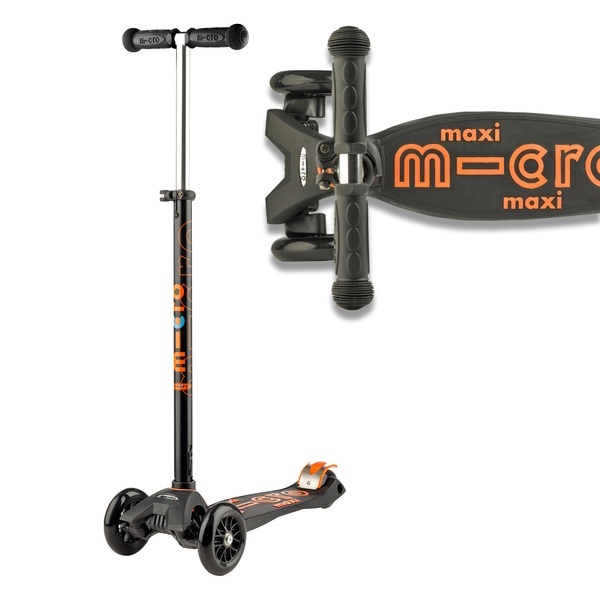 This award-winning version of the classic Maxi Micro scooter incorporates a host of additional features, which break the mould and set this scooter in a class of its own. The sleek and stylish anodised stem protects against wear and tear, while the unique, moulded footplate improved grip and allows an increased weight-limit for riders, meaning that as your child grows, the Maxi Micro will grow with them, allowing them to clock up even more Micro miles. Still incorporating the fundamental patented lean to steer mechanism, sturdy rear brake, soft grip handles and adjustable handlebars, with the standard fully replaceable parts, this is the must have three-wheeled school run scooter for the Micro generation.